"This hotel is actually beautiful and the rooms are very clea..."
Located off Highway 401, this luxurious Toronto hotel boasts an indoor saltwater pool with a waterslide, a spa and 2 restaurants and a bar on-site. All of the rooms include free Wi-Fi. Central Toronto is 22 minutes’ drive away. 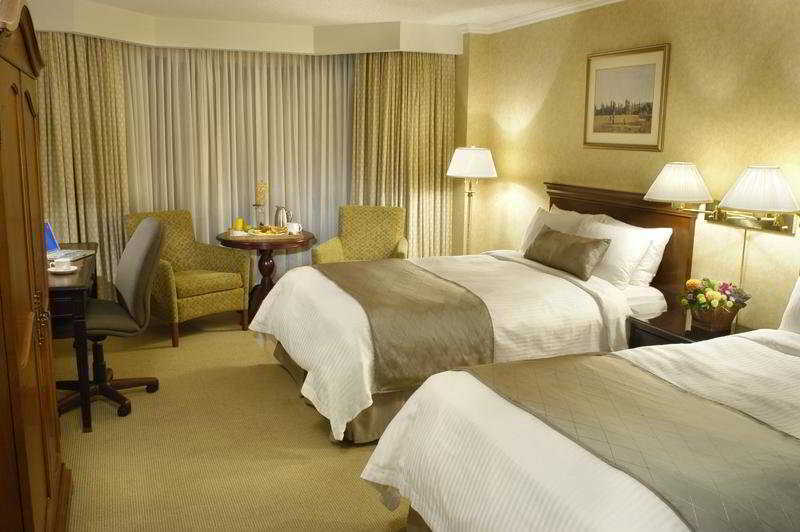 A flat-screen cable TV with pay-per-view channels is featured in each guest room at Delta Toronto East. All of the contemporary rooms include an iPod docking station, a desk and an ergonomic chair. Select rooms include guest bathrobes and city views. Serving lunch and dinner in a quiet atmosphere, Sagano Restaurant is located at Toronto East Delta. The restaurant offers panoramic views of Toronto and serves authentic Japanese cuisine. Offering breakfast, lunch and dinner, Whitesides Terrace Grille offers a family friendly menu with pasta, burgers and pizza. Children under 6 eat free in all food outlets. A 24-hour reception greets guests of Delta Toronto East. Guests have access to the well- equipped around the clock fitness centre featuring treadmills, weights and elliptical machines. If guests prefer, squash courts are also available. Scarborough Town Centre Shopping Mall less than 0.5 km away from this hotel. Flemingdon Park Golf Club is 12 minutes’ drive away. 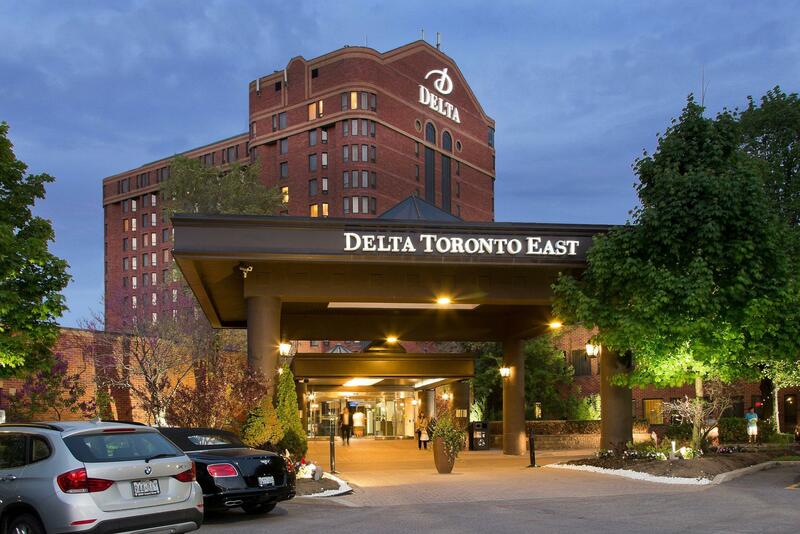 Toronto Pearson International Airport is 30 minutes’ drive away from Delta Toronto East. Please note a valid government issued ID and credit card are required at check in. Debit cards and cash are not accepted for incidental charges. Please contact the property for the hours of operation of the waterslide. Please note, the front parking lot is closed for construction and additional parking is available on the East side of the hotel in a covered parking garage. Guests can still access the Main lobby for check in, pick up and luggage drop off, however, parking is not permitted in that area.